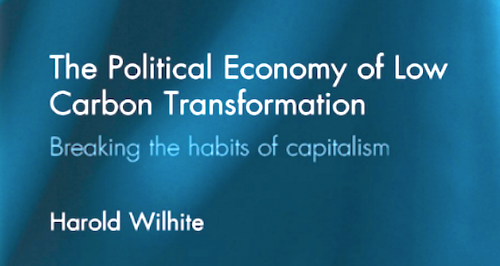 In his new book The Political Economy of Low Carbon Transformation: Breaking the habits of capitalism Professor Harold L. Wilhite at the Center for Development and the Environment at the University of Oslo explores a concept that is largely being ignored in the discourse surrounding sustainability, but one that he thinks is key to turning things around. That concept is habit. He argues for the importance of recognizing that the everyday behaviours that lie at the core of many of our global environmental issues are, in fact, mostly non-decisional routine actions – habits – that remain unquestioned and unchanged in the face of good intentions. According to Wilhite, implementing regulations on industries and promising green jobs is not going to be enough to tackle climate change. It is going to take changing those everyday practices. This point has not entirely gone unnoticed by policymakers. Indeed, governments are continually urging citizens to cut waste and take public transport. And although some instances of progress may be gleaned here and there, the fact remains that in the grand scheme of things, most of us do more or less as we always have done. Wilhite offers a powerful lesson on how the phenomenon of the air-conditioned house emerged out of the concerted efforts of banks and corporations with the aid of government policy to create a particular notion of ‘comfort’ that depended on a sealed off and constant indoor climate. Air-conditioned ‘comfort’ replaced a more natural and environmentally-attuned sense of comfort, essentially creating a need that wasn’t really there. But is there any such experimenting going on? Not as much we need, surely, but the book directs our attention to a variety of grassroots community initiatives that appear to be doing something interesting. What it refers to is movements such as the ecovillage- and transition town networks, local communities that base their institutions and way of life on self-sufficiency and sustainability, both with strong elements of community orientation and sharing practices. And, as he points out, these movements, although relatively small at the present, are ‘increasing at extremely rapid rates’. 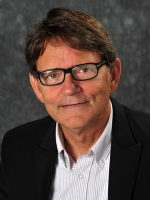 Picture of Prof. Harold Wilhite courtesy of the University of Oslo.